GOAL: To feel compassionate, empathetic, outgoing, humanitarian, in touch with feelings & goodness in self & others, nonpossessive. IMBALANCES: Indecisive, self-pitying, paranoid, fear of hurt & abandonment, inability to let go & be free OR critical, possessive, moody, demanding, using money to control, the martyr. Initiation of the Heartlight (Pink Lotus) Open Heartedness Reach a new level of openheartedness. It goes very, very deep to open the heart. It will help us to recognize any judgment we may still have. A threefold flame resides within our hearts. The pink lotus fans the spark and ignites the flame. This essence is a treasure. It is about prosperity consciousness, opulent manifestation, full flavored magnanimous flow, affluence, prosperous abundance. Share a universal cornucopia of expanded grand fortune. We are reminded to give generously. Emerald Green/ Heart Chakra The emerald activates our heart chakra, teaching us empathy and unconditional love, allowing us to experience an expansion of love energy. This essence, overlit by Archangel Rafael, the angel of healing. Works very strongly in the physical field, so it is good for all physical healing. Emerald helps us understand rhythms and patterns and cycles in nature. It is also about fertility and prosperity. 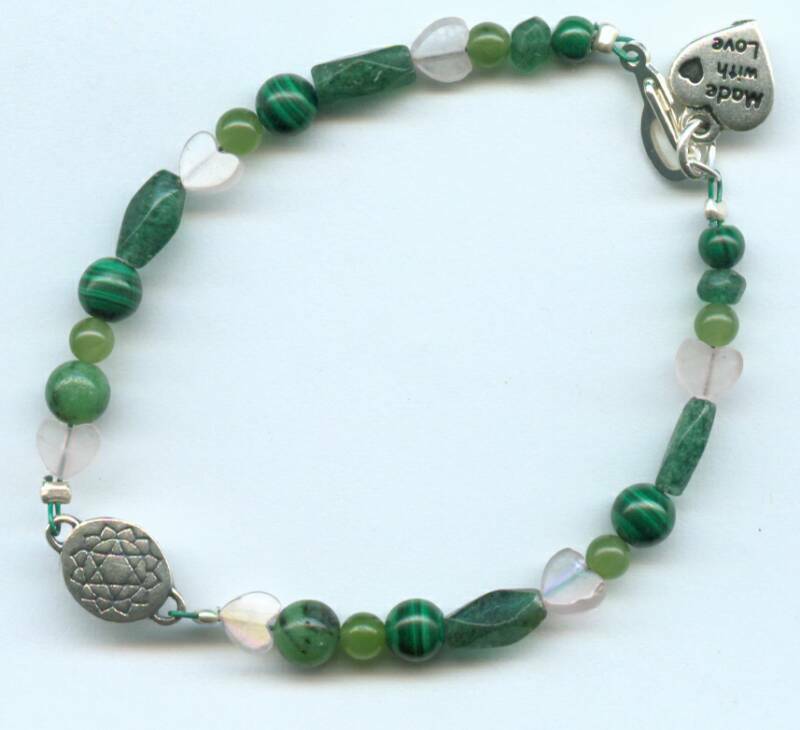 The emerald assists all forms of communication through the heart, and healing with love. ROSE QUARTZ: love of self and others, comfort for hurt heart, nurtures the child within, quiets intellect to hear spirit. AVENTURINE: joy, release of inhibitions, unselfish love, openness to unlimited possibilities, vitality. MALACHITE: security, compassion, ability to assume responsibility for self-growth, energy for positive change. Location: Center of chest; under sternum. Body: Heart, circulatory system, blood, ribs, breasts, thymus, lungs, shoulders, upper arms, hands and diaphragm. Oils: Sandalwood on the ball of the foot. Bergamot & Harmony layered in center of chest and under sternum. 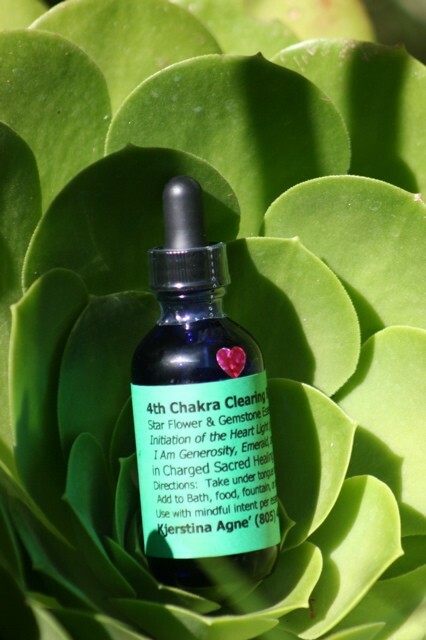 The Heart Chakra is the integration point for the upper and lower chakras. It is also said to be the bridge between heaven and earth, the Center of the 7 directions. All issues come through the heart chakra, and balance cannot happen in the system until it happens here. Front: Family of origin – loving relationships? Did we learn to accept our purpose and spiritual needs? Hearts desires met? Dreams of body, mind, soul and essence connected with divine source? Is our heart a continuous column of light connecting us to source and earth? OR, are we shut down, closed? Is giving and receiving in relationship challenging? Non-existent? Cut off from experiencing love? Negative self-image or attitudes toward life in general? Can you truly receive (therefore give) love? What childhood pain created blocks; need for protection? How was your flow of unconditional love energy? Limits to creative life force energy? How is your self acceptance, acceptance of others, trust, well-being, sense of what you need, abundance, prosperity, good health? Forgiveness, self and others? Imbalance of self love, or love of others. Feelings of overwhelm/unsafety – trying too hard; me against them or the world against me. Back Side: What is your Spirit’s true desire? True calling? Heart’s desire? Here, we receive love without judgment; access point for mental energies that are pure and simple; encouragement for being. Access to divine source, master planner, highest purpose for this lifetime. 4th Auric Level Have you, or can you achieve your hearts desires? Create loving, feeling relationships? Express love to self and others? Be accepted and approved of by your family? Lovingly connect to ancestors? Acknowledge all of your feelings? Recognize and release anger? Recognize and release toxic emotions? Feel safe to trust others? Be kind and gentle with yourself? Receive guidance from Source? .